NOTE! 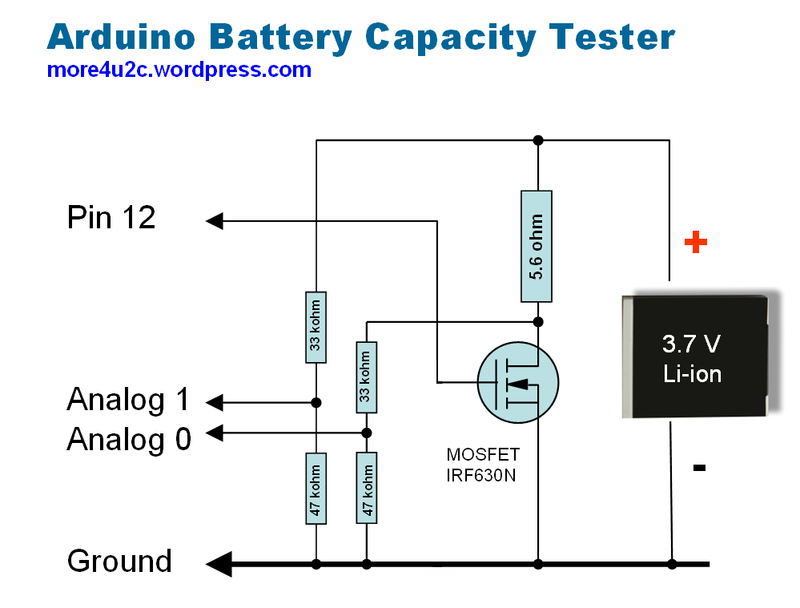 This Arduino Battery Capacity Tester has been updated! See the new, more general, improved and still simplified version of the New Battery Capacity Tester here! To automate the testing of camera batteries and to make the tests repeatable I came up with a small circuit controlled by a Arduino microcontroller – you can see the battery capacity tester circuit on the left. (If anyone is interested I can put up the Arduino program that controls it.) 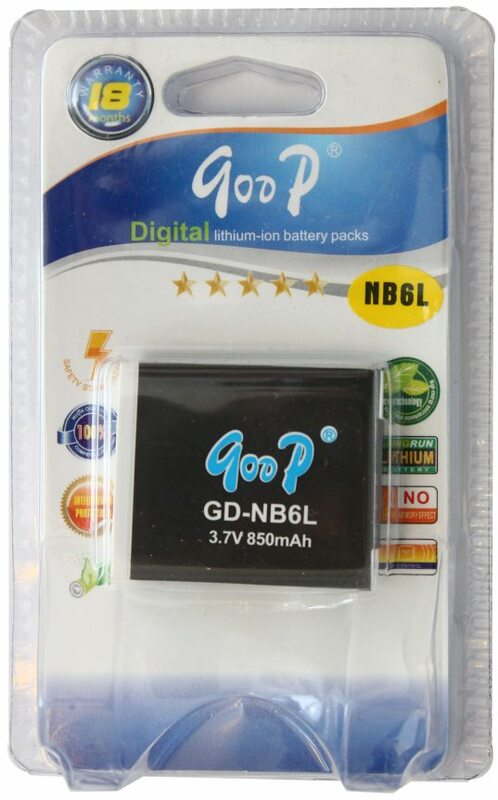 I have used this on my tests of camera batteries – check them out! Someone was! 🙂 (Interested in the Arduino program!) Link at the bottom of this post! The program outputs measurements to the serial monitor. I just copy it from there to Excel and do the calculations and graphics in Excel. After some consideration about the measurement process I decided to try to approximate the real world picture-taking – but I also wanted a repeatable and reasonable easy and quick way of comparing different batteries. The circuit I decided on can handle the three most common batteries: 1.2 V NiMh, 3.7 and 7.4 V Li-ion by changing the load resistor. I wanted the load to mimic the actual taking of pictures by applying the load for a number of shorter times – like taking pictures. For the 3.7 V Li-ion batteries on test here I decided that, as the battery according to Canon should give about 300 pictures, I would apply the load in around 300 short intervals. That ideally translated to a 5.2 ohm resistor giving around 500 mA load for 16 seconds each. Settled for a more standard resistor of 5.6 ohm. The load in this case is around 2.5 watts so use an appropriate resistor – with higher rating unless you want it to get very hot! 🙂 I also decided to let the battery “catch its breath” for 16 seconds between each “picture” – again mimicking (very oversimplified) the real world behaviour while keeping the testing time down. Initially I wanted to follow a “real” standard like the CIPA one – but it was much to complicated for me and would involve far too much manual work. More to read about battery measurement in the CIPA document – but be warned it is very technical! mAh My testing method also gives the capacity in mAh under the above “simulated real world picture-taking” conditions. 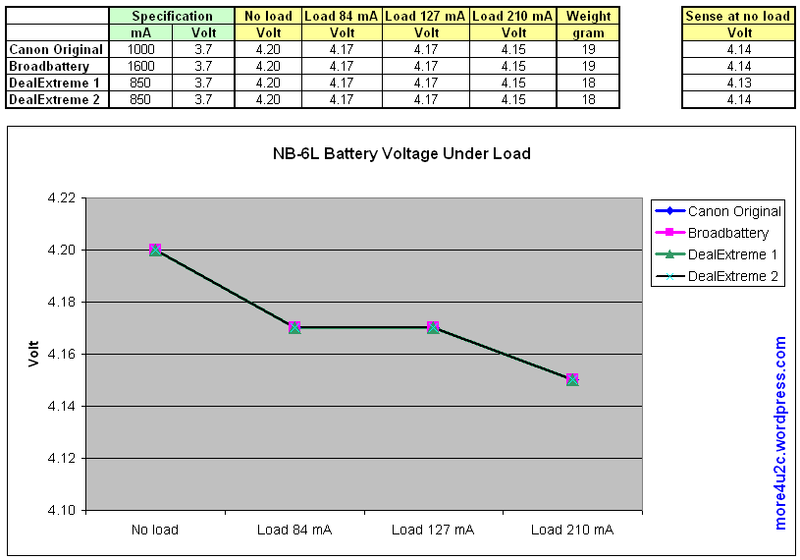 Note that under other (“laboratory”) conditions these batteries can give other mAh capacities – but as I do it the same way in all my tests you can compare the results between the batteries that I test. NOTE: Right click on the link and select “Save target as…” Due to limitations with WordPress this Arduino source code file has been given the extension “.doc”. After saving this to your disk rename the extension to “.ino”. Also note that a NEW Battery Capacity Tester with a more general focus for all kinds of batteries can be found here! As usual if anything goes wrong or gets broken by using this information I am sorry – but all the decisions are yours!